What's Up! Wednesday - The Stampin' Blends Will Be Available November 1st! Happy Hump Day Everyone! Stampin' Up! announced on yesterday that the Stampin' Blends will be released for purchase on November 1, 2017! 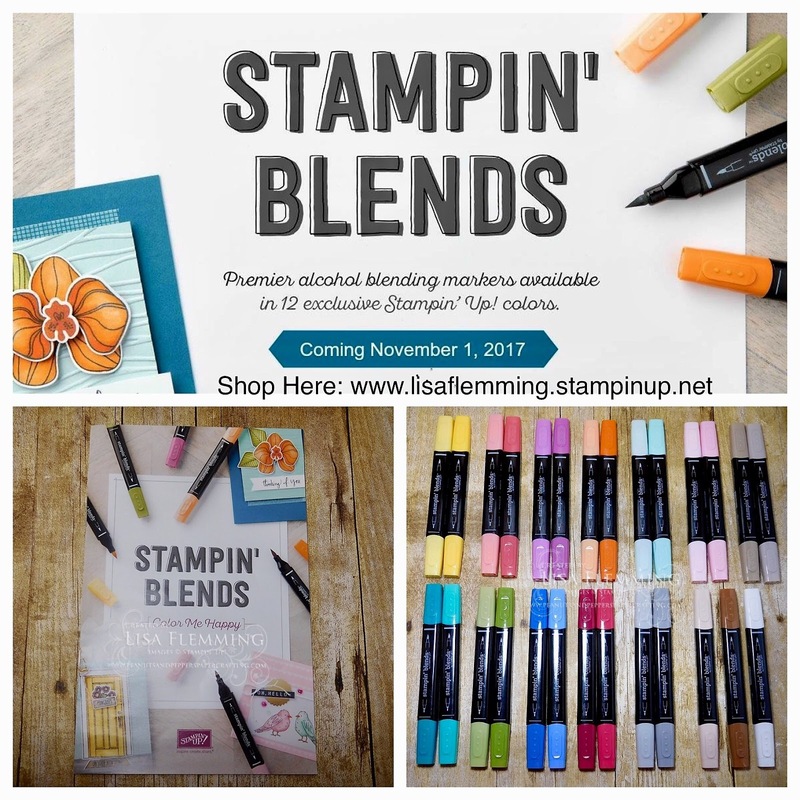 These artist-quality alcohol markers, in 12 exclusive Stampin' Up! Colors, open up a world of color creativity. Plus, the Color Me Happy stamp set and Color Me Happy Project Kit will be available to help you get started as well! Stay Tuned! Don't forget that Stampin' Up! is having a Stampin’ Blends Giveaway! Beginning yesterday and running through October 31, 2017, you can share, like, or comment on Stampin’ Up!’s Stampin’ Blends Facebook post for the chance to win a Stampin’ Blends Marker Collection or a Stampin’ Blends Combo Pack!